Innovate Guildford is a free one-day festival showcasing advanced technologies and giving an insight into the knowledge, innovation and creativity within the region. 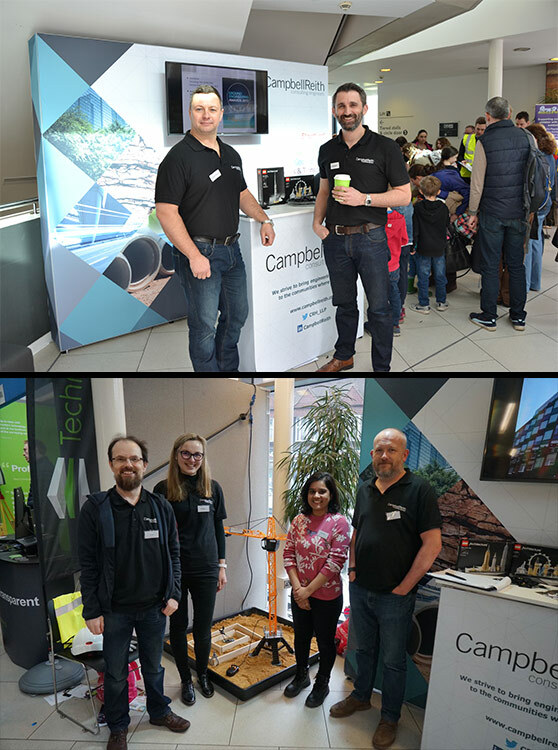 Following our attendance at the very successful 2018 festival, CampbellReith will be supporting this year’s event on 23 March 2019. With a focus of the festival being on encouraging young students to embrace science, we will be demonstrating different aspects of our engineering and environmental science disciplines, including interactive challenges and access to 3D models to provide children with a truly hands-on experience.